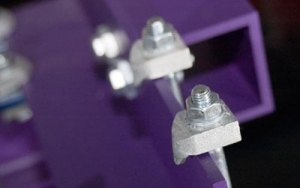 The Box Bolt cavity connection is used to make connections to structural steel sections. The Box Bolt is suitable for use with rectangular, square and circular sections, or other types of steelwork where access is restricted to one side only. Kee Safety's specialist subsidiary company LNA Solutions Inc based in Ann Arbor Michigan offers a complete, free of charge engineering service providing extensive technical assistance and recommendations for individual problems and connection requirements. Please contact LNA to discuss your application in greater detail. To view more details on Box Bolt please visit the LNA Solutions website.